Hey, I’m on Google Earth! 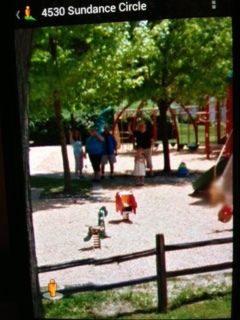 Last spring after my granddaughter’s preschool graduation we spent some time with one of her friends in a local park. The Google car drove by and we remarked that it would be something if we were included on Google Earth. And apparently – we were! Not tellin’ where, though!